1. The greener the better. In a professional EVOO tasting, tasters use opaque glasses. The fact is that certain excellent olive varieties can naturally produce a more transparent oil. Also, there are undetectable additives that can be added to EVOO that can make it seem greener. Greenness is a very unreliable measure. 2. An oil that leaves a spice in the back of your throat, or makes you cough is bad. 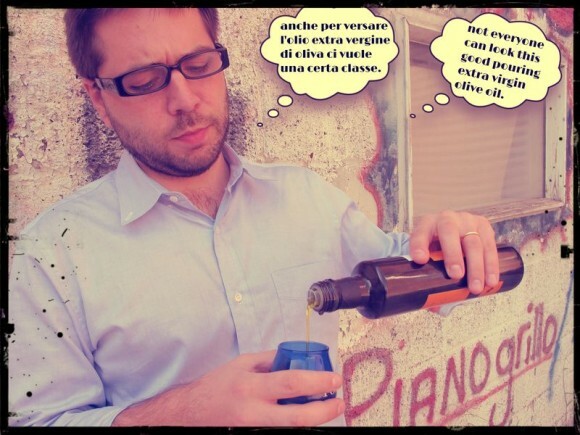 It’s the opposite in fact, a piccante EVOO is usually a good one. 3. Visible sediment in the bottle is a sign of a good, unfiltered oil. Actually, over time the sediment goes bad and contaminates the oil. All EVOO needs to be filtered to some degree. 4. Cooking with EVOO is dangerous. We know there are lots of studies out there but EVOO has one of the highest smoking points of all the cooking oils. We use it for cooking and frying. What to do, if you are not an olive oil expert? 1. Beware of cheap oils. 2. Buy EV Olive Oil from a merchant you trust. Previous Post Maida Vegetable Sott’oli – Thanksgiving Perfect!